If you’re a particularly green car shopper, Subaru offers Partial-Zero-Emissions-Vehicle (PZEV) equipment as a $300 option on 2.5-liter Outbacks sold in those states where such equipment (to eliminate evaporative emissions) isn’t mandated by law. The PZEV package includes a longer warranty on the emissions equipment (15 years instead of 10), though the covered mileage stays the same (150,000). The 2010 Subaru Outback isn’t especially swoopy or fast, and it hardly carries a luxe image. But with more interior refinement and new features, along with rutted-trail ability that sidelines tough-looking rivals, this Subaru will win more fans. Editors at TheCarConnection.com drove the new 2010 Subaru Outback to bring you this hands-on review of its performance, styling, quality, comfort, and features. Editors also evaluated the Subaru Outback against its competition to provide the best information to help with your shopping decision. For 2010, Subaru has entirely redesigned its legendary Outback, moving it firmly into mid-size territory and making it an even stronger competitor to such sport-utility crossovers as the Toyota Venza, Volvo XC60, and Jeep Grand Cherokee. The new 2010 Subaru Outback comes in three trim levels—base, Premium, and Limited—and offers two engines, a 2.5-liter flat-four and a 3.6-liter flat-six. Prices start at $22,995 for the base 2.5i model with six-speed manual transmission, rising to $30,995 for the 3.6R Limited model with all the bells and whistles. TheCarConnection.com drove several different 2010 Outbacks to produce this hands-on road test. Subaru gives the 2010 Outback bolder styling and what it calls "SUV details”— exaggerated wheel arches, a thicker rear roof pillar, and chunkier rear side windows. It adds 2.8 inches to the wheelbase, ups the width by 2.0 inches, and lifts it a whopping 4.1 inches, but actually keeps it almost an inch shorter than the previous model. 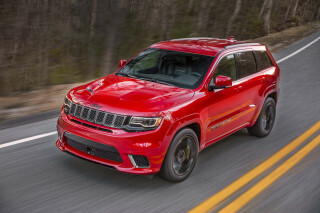 At 8.7 inches, ground clearance is the highest ever, besting rivals that include the Jeep Grand Cherokee. The front styling may be the Outback’s least successful aspect, with very large headlights sweeping well back into the fenders. Inside, the Outback is modern without being outlandish, with a slight curve to the center console. At a base weight of just 3,386 pounds with standard all-wheel drive, the 2010 Outback is 450 to 1,000 pounds lighter than AWD competitors. This lets the new Outback use an engine much smaller than the competition. The base 170-horsepower, 2.5-liter horizontally opposed "flat" four-cylinder engine returns 22 mpg city, 29 highway when paired with an all-new continuously variable transmission (CVT) called Lineartronic. Subaru expects more than half of all 2010 Outbacks to be fitted with this combination. If you fit the 2.5-liter four with the new six-speed manual—Subaru is one of the few carmakers still offering manual transmissions—mileage falls to 19 mpg city, 27 highway. Full-tilt acceleration is adequately unobtrusive; the transmission quickly runs the engine up to its most efficient speed of about 5,500 rpm and keeps it there, but sound insulation alleviates most of the typical CVT whine. Level highway cruising is generally placid at engine speeds below 2,000 rpm. The Lineartronic CVT includes paddle shifters behind the steering wheel that simulate six fixed ratios, holding the engine in the chosen "gear." 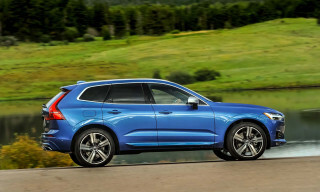 The optional engine is a 3.6-liter flat-six that kicks out 256 horsepower. It’s mated to a conventional five-speed automatic transmission. It gives 18 mpg city, 25 highway, less impressive than the frugal four. While the company won’t quote acceleration figures, the six is smooth and quiet, and it offers rather torquey, un-Subaru-like hustle as it moves the 2010 Outback smartly off the line. It won’t win any drag races, but while the four is adequate, the six is actually fun. Subaru’s horizontally opposed, or "boxer," engines keep the Outback’s center of gravity low, despite its tall profile and high ground clearance. It handles better than virtually any competitor, driving like a car rather than a truck. 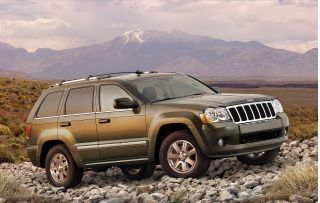 The new 2010 model is surprisingly roomy, especially in the backseat, which comfortably accommodates six-foot-tall passengers even with the front seats pushed all the way back. The 60-40 split rear seat not only folds flat but also reclines. The tailgate opens down to a 33.9-inch liftover, and the high roof and upright sides give a wide opening that even fits two dog kennels side by side. When the rear seats are folded, cargo volume is 71.3 cubic feet; with seatbacks up, it’s 34.3 cubic feet. The interior is refined and quiet, as well; the door windows now have frames, and cross bars for the roof rack swing back and stow parallel to the rails to cut wind whistle. Carrying people and stuff is what Outbacks are all about, in fact. The new roof rail system was designed to ensure that existing third-party roof accessories—from bike racks to storage boxes, kayak mounts to ski holders—would fit on the redesigned rails. Subaru expects the 2010 Outback to score five stars on all of its crash tests. Dual-stage dash-mounted front airbags, thorax-protecting front-seat side airbags, and full side-curtain airbags for head protection are all standard, as are seatbelt pre-tensioners. Every 2010 Outback also includes stability and four-wheel traction control systems. In addition, Subaru returns to fitting its traditional Hill Holder, which makes starting easier on slopes of 5 percent or higher by keeping the brakes engaged. 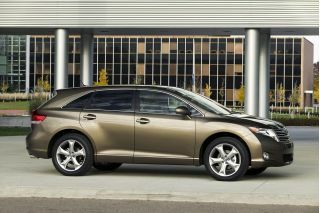 Subaru adds many new features to the 2010 Outback to bring it up to par with other crossovers. The steering column not only tilts but telescopes. All models include an outdoor temperature display and three 12-volt power outlets. Premium and Limited trim levels are available with all three engine/transmission combinations. Options include Subaru's traditional all-weather package, with heated seats and mirrors, as well as a deicer for the windshield wipers; a 10-way power driver's seat; dual-zone automatic climate control; a power mooonroof; and a 440-watt, 9-speaker Harman Kardon premium sound system. Limited models offer a voice-activated navigation system with a reversing camera that shows in the 8-inch dash-mounted display. To our surprise, ordering the navigation system requires the moonroof to be specified as well. And unfortunately, Subaru doesn’t offer memory functions for seat and mirror settings for different drivers. The 2010 Subaru Outback is now more crossover than wagon, and a few styling elements just strike the wrong chord. Subarus have always been known for their styling, but not necessarily in a good way. With the previous generation of Outback Subaru, consumers were somewhat surprised to get an uncluttered exterior, but the latest 2010 Subaru Outback marks a return to stylistic confusion. Many reviews surveyed by TheCarConnection.com question some of the new styling elements on the 2010 Subaru Outback; Kelley Blue Book reports that “gone are the sleek lines, car-like styling and handsome two-tone wheel arches,” replaced by a “more SUV-like appearance.” The new Outback Subaru, which is available in base, Premium, and Limited trims, “has lost a bit of its signature Subaru styling” along the way, according to Road & Track, but they think that the “more upright grille and highly carved fender flares will become new Subie signatures.” TheCarConnection.com’s editors hope not, as they indicate that the front-end styling is the least successful part of the redesign. While reviewers are torn regarding the Outback Subaru’s new exterior design, the interior gets a much warmer reception. Car and Driver feels that the 2010 Subaru Outback’s new interior “design is attractive and makes no glaring missteps in ergonomics, fit, or materials.” The look of the materials sits well with reviewers also, as Autoblog reports that, “of all makers, Subaru has come up with an ersatz textured metal trim that actually feels and sounds just like metal.” Kelley Blue Book reviewers continue the love fest surrounding the 2010 Subaru Outback’s interior, observing that “the addition of a dash-mounted electronic parking brake allows Subaru engineers to remove the center-console handbrake handle, creating more space for water bottles and latte cups.” Overall, the swooping new interior is a step in the right direction for Subaru, and it’s hard to find fault with any single element of the layout. The 2010 Subaru Outback gets a bump in both capability and fuel economy, though many will miss last year's perky turbocharged model. The 2010 Subaru Outback loses its high-performance engine, but the Japanese automaker’s latest wagon benefits from a new CVT that gives it class-leading fuel economy. 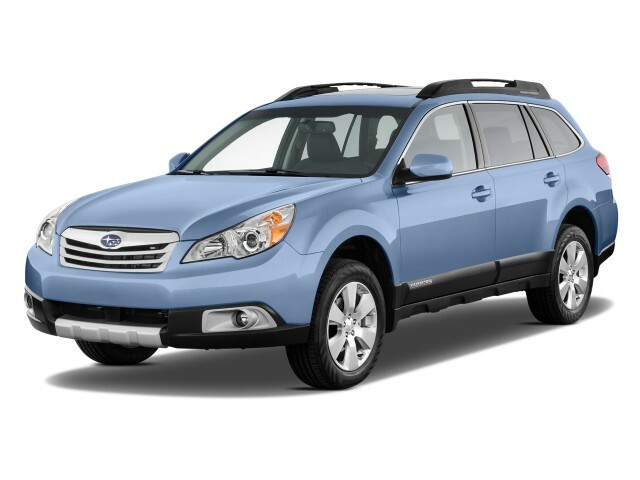 As several reviewers mention, the 2010 Subaru Outback returns exceptional fuel economy for its class. According to the official EPA estimates, the 2.5-liter/manual combination returns 19 mpg city and 27 mpg on the highway, while the CVT gets an exemplary 22/29 rating. The 3.6-liter engine is hit with an understandable drop in efficiency and clocks in with an EPA rating of 18 mpg city and 25 mpg on the highway. The 2010 Subaru Outback continues to climb the quality ladder, and extra rear-seat legroom marks a huge improvement over last year. Subaru’s versatile wagon, the Outback, never looks particularly cramped from the outside, thanks to its elongated profile. However, one ride in the backseat of an ’09 Outback Subaru is enough to keep you from ever wanting to take a road trip in the quirky Subie. Thankfully, Subaru addresses all of the previous Outback’s comfort issues with the forthcoming 2010 Subaru Outback, and in the process, they create a much quieter, more refined, and more versatile vehicle. Park a 2010 Subaru Outback next to any previous-generation Outback and you’ll immediately notice that the latest iteration is significantly larger. In terms of actual volume, Autoblog says the 2010 Subaru Outback’s “extra height and width were almost directly translated into nearly 13 more cubic feet of cabin room, with larger front seats providing more head, shoulder and hip room.” Car and Driver reviewers quickly recognize “the new car’s extra 2.0 inches of width mean that front occupants no longer will spend trips bumping elbows,” and other reviews read by TheCarConnection.com appreciate the extra space up front. The 2010 Subaru Outback doesn’t have a dedicated trunk, but its rear cargo area has grown along with the passenger space. Autoblog says that the dimensional increases in the 2010 Subaru Outback combine to “add a shade less than one cubic foot of extra cargo room over the current car with the rear seats up, and a tad less than six cubic feet with the rear seats down.” As part of its near-complete redesign, Subaru engineers shift some of the suspension bits that underpin the Outback Subaru, and the result, according to Car and Driver, is “a more usefully shaped cargo hold.” Inside the passenger space, Autoblog finds that Subaru once again listens to consumer feedback and makes the “center armrest cubby…larger.” In addition, they note, “the cabin has been filled with bins, and the front visor has a ticket holder.” The rear seatbacks also feature a 60/40-split, and the seats feature one-touch folding. Although the 2010 Subaru Outback can’t be considered a luxury, or even premium, vehicle, it does offer materials and build quality that are entirely appropriate for the price point. ConsumerGuide appreciates that the Outback Subaru’s “interiors are finished with quality materials and show attention to detail.” Road & Track covers Subaru’s quality progression for a while, and they note that “Subaru continues to work on the quality of its interiors, and once again it’s a strong step forward in terms of quality.” The one major materials gripe comes from Autoblog, where the editorial staff feels that when the perforated leather seats are “paired with the perforated leather inserts in the doors, it just began to look like everything had holes in it.” As for build quality, Subarus are among the most reliable vehicles on the road today, and there’s no reason to believe that the 2010 Subaru Outback won’t hold up to the rigors of daily driving, year in and year out. One complaint that has plagued Subaru for years has been the presence of an excessive amount of wind noise. One of the primary culprits was the frameless door design, which left the windows unframed when the doors were open. For the 2010 Subaru Outback, Subaru changes up its door design, and Automobile Magazine reports that the resulting Outback “is a quiet cruiser overall.” Autoblog points out that the Outback Subaru’s new roof rack design plays a role in cutting down wind noise as well; “the crossbars can be retracted so [that] they sit flush with the roof rails, then extended when you need to carry something,” which keeps the out of the airstream when they’re not needed. The 2010 Subaru Outback benefits from a corporate emphasis on safety that has propelled the Subaru family to the top of virtually all safety lists. Subaru, more than just about any other automaker in the world (with the possible exception of Volvo), has built a reputation around safety. Subaru’s latest promotional spots emphasize the safety aspects of vehicles like the Outback Subaru, and generations of buyers can attest to the virtues of Subaru’s Symmetrical All-Wheel Drive and other safety nets. As of this writing, the 2010 Subaru Outback has not been crash-tested by either NHTSA or the IIHS, but those results should be released in the near future. If prior results are any indication, the 2010 Subaru Outback should score among the top in its class in terms of both impact and rollover protection, and Subaru officials tell TheCarConnection.com that they expect five-star ratings in all crash tests. Stay tuned to TheCarConnection.com for the latest updates on the Outback Subaru’s crash-test scores. One of Subaru’s best-known safety features is the Symmetrical All-Wheel Drive that comes standard on each and every Outback Subaru. As the commercials mention, it’s part of “what makes a Subaru, a Subaru.” Aside from the security of having four drive wheels, ConsumerGuide reviewers find that “available safety features include ABS, traction control, antiskid system, curtain side airbags, and front side airbags.” TheCarConnection.com’s editors add that seatbelt pre-tensioners are included on all 2010 Subaru Outbacks, and a nifty Hill Holder feature simplifies manual-transmission hill starts. One of the Outback Subaru’s few safety options, according to Autoblog, is a “very crisp rear-view camera” that comes with the available navigation system. With a corporate history deeply rooted in the always-dangerous sport of rally racing, it’s no surprise that Subaru has become so good at developing world-class safety systems. 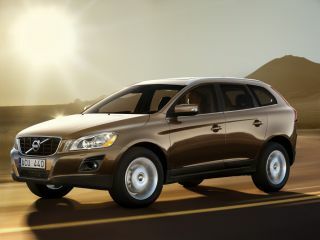 As ConsumerGuide reports, “visibility is good from behind the wheel” of the 2010 Subaru Outback. Despite its crossover-like looks, the Outback Subaru has few blind spots, and the available rearview camera eliminates the dangerous blind spot directly behind the vehicle. The 2010 Subaru Outback continues to up the value ante, offering ever more features for less than its competitors. 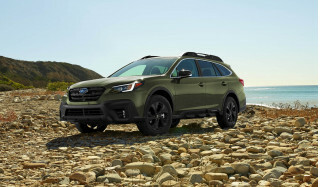 The current economic environment around the world has created an opportunity for Subaru to steal market share from its higher-priced rivals, and Subaru appears to have jumped at the chance by keeping prices down on the 2010 Subaru Outback while increasing features. Although the Outback Subaru is available in three distinct trim levels, TheCarConnection.com’s research shows that the 2010 Subaru Outback is well equipped at any level. Autoblog reviewers are pleased to note that, “electronically speaking, every 2010 [Subaru] Outback gets an ‘Auto’ setting for the lights, a telescoping wheel, an electronic parking brake, and a revised Hill Hold Assist,” while Motor Trend raves that the “upscaling process is equally evident in the Outback’s…cabin treatment” as it is on the exterior. Motor Trend reviewers scour every inch of the Outback Subaru’s cabin and discover that “the lengthy standards roster boasts everything from air conditioning, a full array of power assists and cruise control to new functional touches like a trip computer/info display.” Car and Driver adds that “other nice touches include…standard steering-wheel-mounted audio and cruise control switches.” The jump from base to Premium trim levels on the 2010 Subaru Outback brings with it standard fog lamps and “a power driver’s seat,” according to Car and Driver, as well as several other small features. The Outback Subaru Limited also gets a standard Harman Kardon stereo and dual-zone climate control, among other standard features. Perhaps the best feature on the 2010 Subaru Outback is the low MSRP; base models begin at just $22,995 and a tricked-out Limited model still comes in under $35,000, significantly undercutting the competition from Volvo and Jeep. Subaru isn’t particularly well known for offering top-notch optional features, but TheCarConnection.com has learned that the 2010 Subaru Outback gets at least a few. First and foremost among the options is “a navigation system with an eight-inch display” that Car and Driver says is available on the 2010 Subaru Outback Limited. Apple’s ubiquitous iPods can be hooked up to any Outback Subaru equipped with the available Harman Kardon sound system, but Automobile Magazine reports that “iPod input is available as a dealer accessory” for those who don’t want the full-fledged audio package. Kelley Blue Book reviewers round out the options list by noting that “Sirius/XM Satellite Radio” and an “auto-dimming rear-view mirror with built-in compass” are available on the Outback Subaru. While Subaru makes a serious effort to bump up the features list on the 2010 Subaru Outback, the automaker can be curiously behind the times with some commonplace functions. In particular, TheCarConnection.com notices that Subaru doesn’t offer any way to upgrade to memory functions for either the power driver’s seat or the mirror, which requires each new driver to manually input their desired settings. My cross country vehicle of choice.